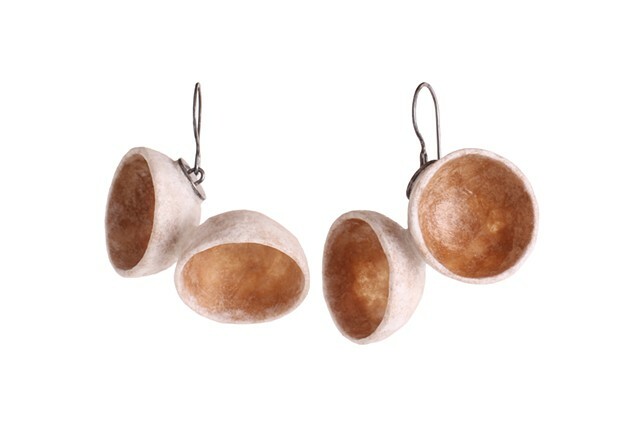 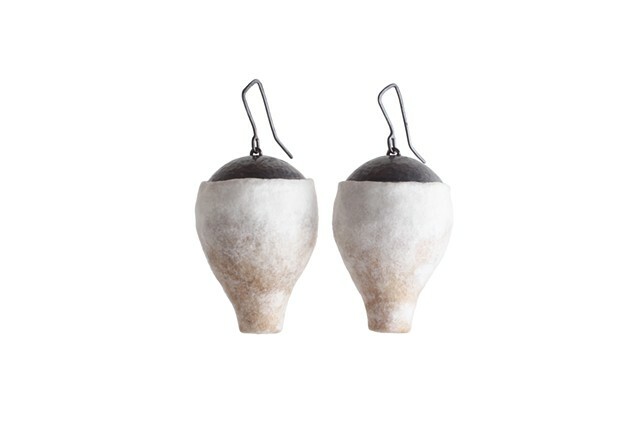 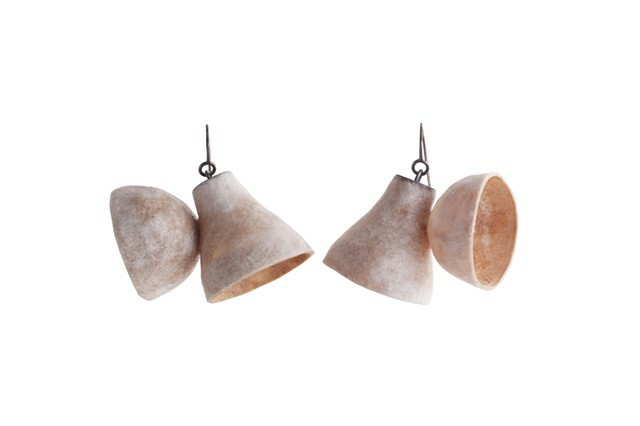 The earrings in this series were formed by carefully building up layers of different colored coffee filters over rubber pipette bulbs to create lightweight, hollow forms. 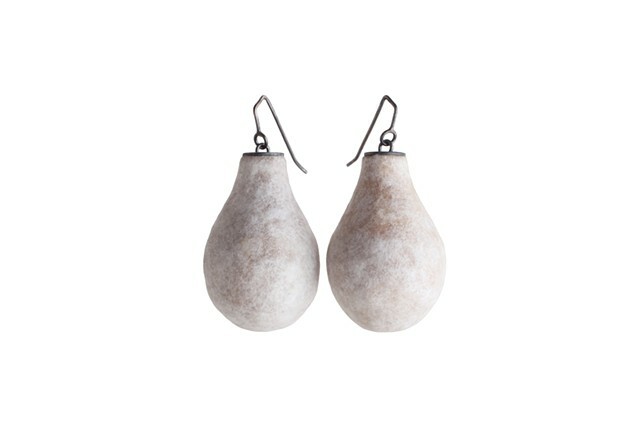 Although these shapes come from industrial components. 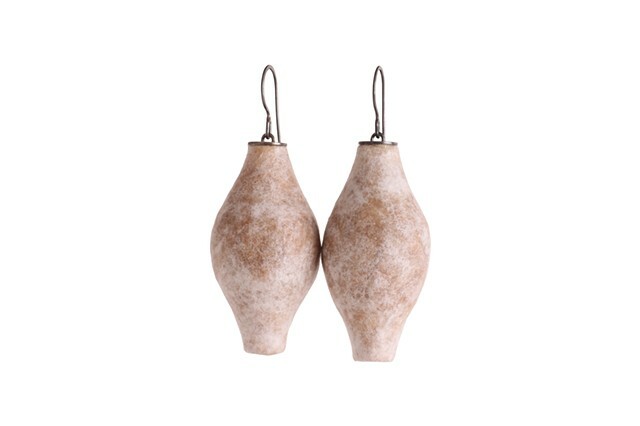 I am fascinated by the way man made functional objects can often mimic natural forms, whether intentionally or not.